WEBINAR SNAPSHOT: This webinar will provide defense attorneys with the information they need to vigorously defend domestic violence charges in Tennessee. Domestic violence charges are aggressively prosecuted in Tennessee. If your client is facing charges related to violence in the home, the potential penalties can be severe—including prison time, fines, mandatory restitution, loss of the right to own firearms, and loss of contact with one’s children. Whether you are new to this area of law or a seasoned practitioner, you can benefit from this webinar where you will be updated on, among other things, restraining orders, protective orders, and post-dissolution TROs. Plus, get tips on how to effectively dispute false allegations. Defending Against a Claim of Domestic Violence: Navigating the Latest Laws, Retaining and Protective Orders, and More — is just $99. Kortney D. Simmons is an attorney with Case Simmons & Bryant PLLC, where her primary areas of practice are criminal defense, juvenile and family law. She practices in courts across Tennessee, but primarily practices in West Tennessee. 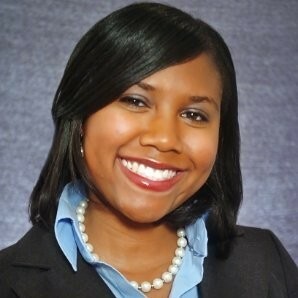 Ms. Simmons is a member of the Tennessee Bar Association (Young Lawyers Division Board member, District 13 Representative), Federal Bar for the United States District Court for the Western District of Tennessee, Jackson-Madison County Bar Association (Young Lawyers Division past president (2014-2016)), Tennessee Association of Criminal Defense Lawyers, Ballard-Taylor Bar Association, and Lawyers’ Association for Women. She has received numerous awards, including 10 Best American Institute of Criminal Law Attorneys; 10 Best Female Attorneys (2016); Top 40 Under 40 for the state of Tennessee, criminal defense, National Trial Lawyers (2016); National Black Lawyers (2016). Ms. Simmons earned her B.S. degree from Middle Tennessee State University and Her J.D. degree, with a certificate in criminal law, from the University of Mississippi School of Law.